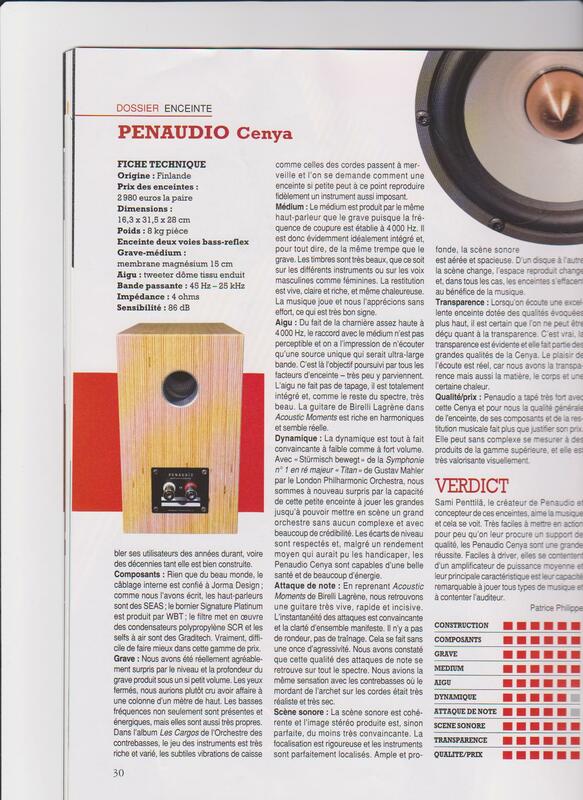 Penaudio Cenya was reviewed by french haute fidelite in their Mars 2012 issue. Cenyas got "Meilleur achat" (Best Buy) nomination! Cenyas was reviewed by Stereotimes, Usa 2012. Cenya was reviewed by Innerworldaudio, Finland 2012. 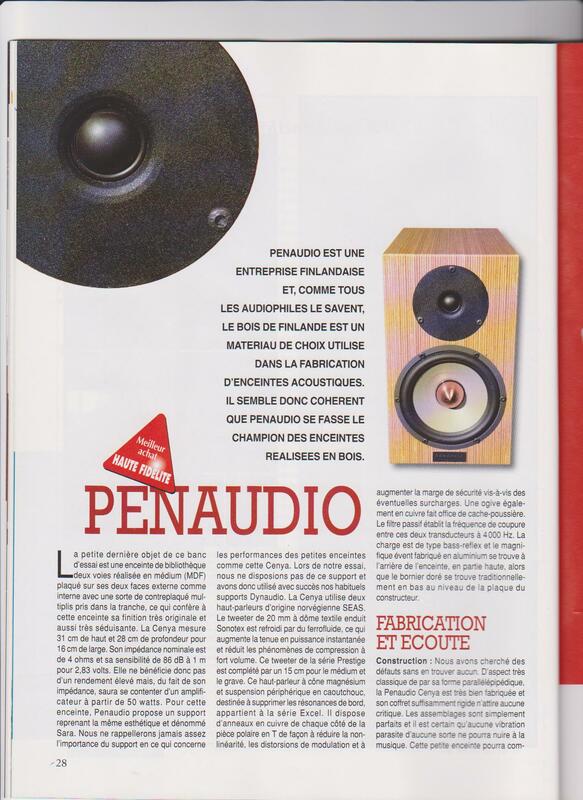 Penaudios Rebel3 was reviewed in Korea 2011. Penaudios Sara was reviewed in Korea 2011. Another Cenya review from Korea. Another Cenya review from Korea! Cenya has reviewed in Focus magazine from Korea 2011. Penaudio has started co-operation with Exotic Audio Denmark. They have distribution in Denmark and in Norway. In Sweden Penaudios can be seen, heard and bought from Välljud. In Finland Penaudios are sold by famous Sound Factor. www.exoticaudio.dk, www.valljud.se and www.soundfactor.fi. You can see us with new distributor in High End Show Sweden next weekend 11th-12th February 2012!